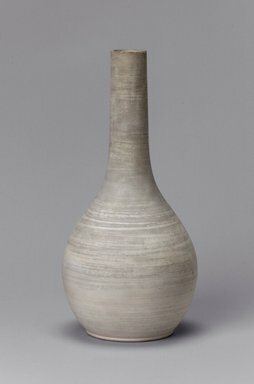 Vase, unglazed off-white porcelain; bulbous body rises from flat bottom, long narrow cylindrical neck with straight edge. Chinese shape, shows body before firing. Condition: Good; few scuffs around body.